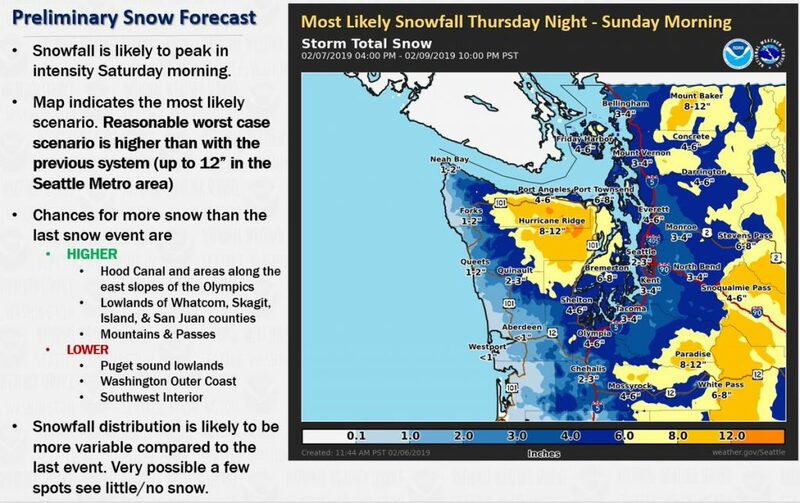 The National Weather Service is forecasting up to 12 inches of snow in the Seattle metro area (up to six inches for Mason County) over the weekend. Snow and ice is heavy, and may cause downed limbs or cables. Call 360.898.2481 to report outages and, as always, be safe! Consult the instruction manual for your router to get its IP address—a string of numbers that you will punch into a web browser for access to the router’s web dashboard. Jot down the number and store it somewhere safe like your filing cabinet. After entering the router’s IP address into a web browser, log in to the base station with your username and password. In the router’s web dashboard, click on the firmware settings. Look for a button that lets you check for the latest firmware version. If an update is available, choose to install it and let the router restart. Repeat this process every three to six months. Call customer service at 360.898.2481 and ask whether your equipment has been updated with the latest firmware. Usernames and passwords like “admin” and “password” are not unique, and are easy for hackers to guess. Many wifi stations come with generic passwords by default that manufacturers intend for you to change. The problem with having a generic username and password is that anybody within range of your router could log in to it and change its settings, potentially opening it up to the outside world. So while you are checking for firmware updates in your router’s web dashboard, make sure to also check your security settings and change the username and password to something strong and unique. Security experts recommend creating long, complex passwords consisting of nonsensical phrases and added numbers and special characters. (Examples: My fav0rite numb3r is Gr33n4782# or The cat ate the C0TT0n candy 224%.) Write down these credentials on the same piece of paper where you recorded your IP address. 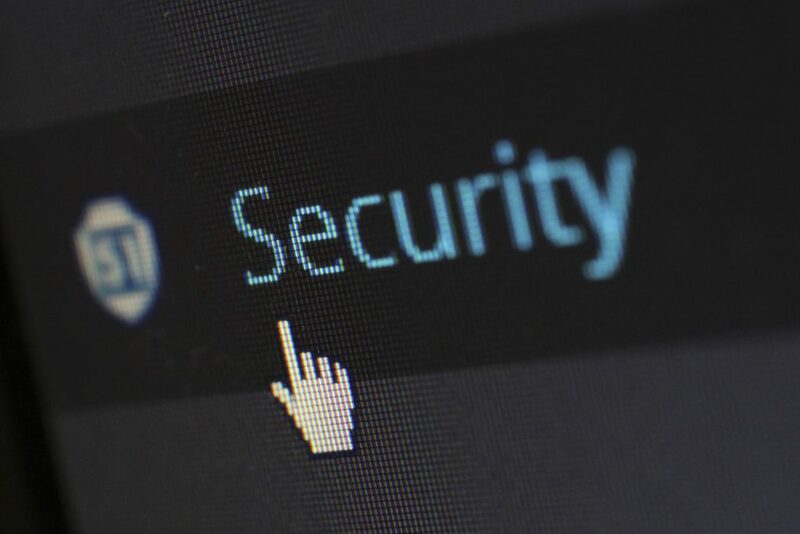 Even if your router still appears to work properly, the device has reached the end of its life when manufacturers stop supporting it with firmware updates, leaving it vulnerable to future cyberthreats. You can expect this to happen every three to five years. At that point, it is crucial to upgrade to a new piece of hardware. The best way to check is to look up your router on the manufacturer’s website and read notes about its firmware releases, or call customer service at 360.898.2481. If there hasn’t been a firmware update in the last year, the router has probably been discontinued. This excerpt appears courtesy of The New York Times. Read the full article here. 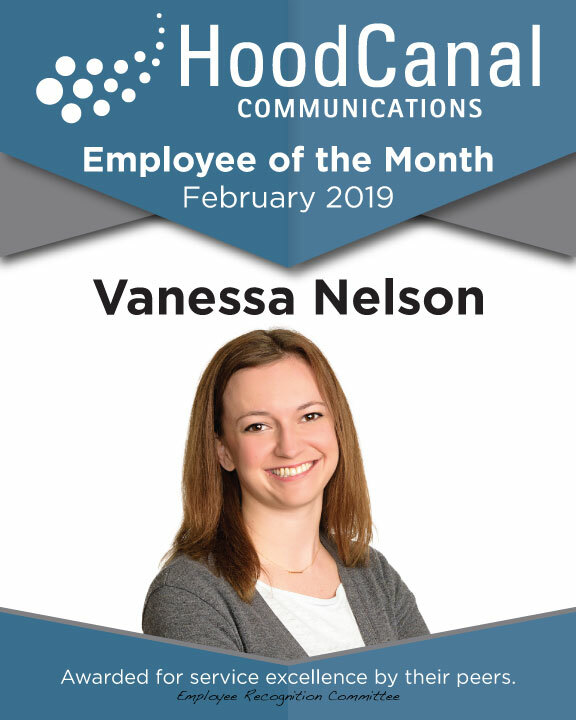 Congratulations to Vanessa Nelson, our February Employee of the Month. Continue reading below to find out why they are being recognized. Vanessa is always positive and helpful. She has lent a lot of her time to training and onboarding our new customer service reps, and helped me keep the local channel updated and on the air, while maintaining all of her own daily work. She is a total rock star and I know I can rely on her. I do not know what I would do without Vanessa. She is incredibly knowledgeable, patient & kind. Even when she’s swamped, she takes time to answer my questions. She never complains about anything and never fails to help her coworkers. I can’t thank her enough for her continued support, helpfulness and determination. Her work ethic is amazing, and I really look up to her. I hope to be as knowledgeable as her some day! When I was sick and not feeling good at all, Vanessa was so helpful! She was more than willing to help the walk ins and she even jumped on my phone to help a customer while I was having a cough attack. I am always so grateful for her awesome teamwork! We believe that cable television, broadband internet, and home phone services are essential in today’s connected world. We also believe that uninterrupted access to these services is crucial to our customers’ quality of life. 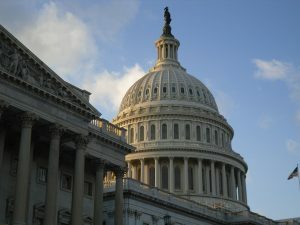 This is why we are putting profits aside and providing relief to HCC customers affected by the government shutdown. If you are a Hood Canal Communications customer employed by the federal government, and you’re in need of assistance to ensure uninterrupted access to HCC services, we would like to help. Contact us at 360.898.2481 Mon-Fri 8:00 am to 5:30 pm, or email us at info@hcc.net. Board members Linda Cargill, Kelle Oblizalo, Ginger Brooks, and Karen Hilburn. Hood Canal Communications, in partnership with Discovery, Inc. held a contest in the last quarter of 2018 to offer a cash sponsorship to a local charity. After an overwhelming response, the recipient was chosen. 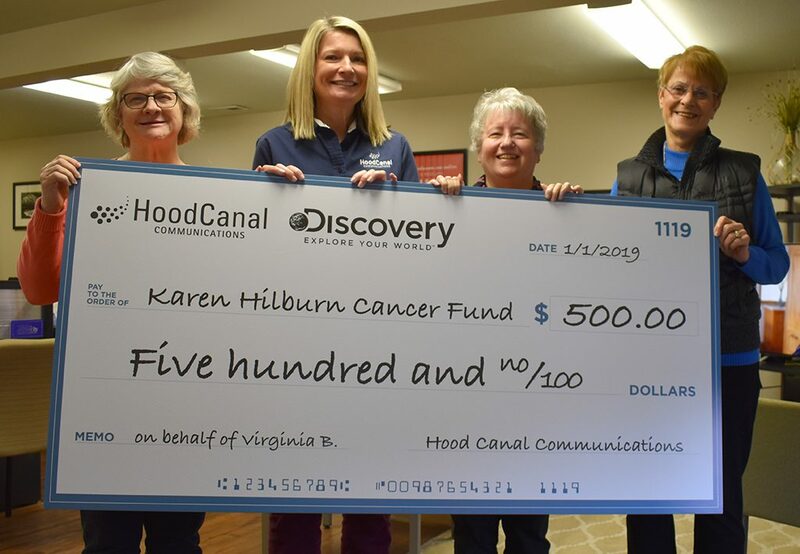 Thanks to a nomination by Shelton Local Virginia Brooks, The Karen Hilburn Cancer Fund will be receiving a $500 sponsorship from the two companies. The sponsorship will go toward the Fund’s annual fundraiser, Denim & Diamonds. The mission of the Karen Hilburn Cancer Fund is to help residents of Mason County with medical expenses for Breast and Cervical cancer, who are uninsured or under-insured. In addition to supporting Breast and Cervical cancer, in 2017, the Fund added Ovarian, Uterine and Endometrial cancers, along with Gardasil Vaccinations to prevent the HPV Virus to their mission. The Fund was established in 2004. 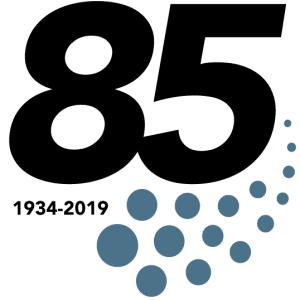 Hood Canal Communications is a local communications service provider with approximately 5,500 residential and business customers in Mason County. With offices located in Union and Shelton, the company has been serving Mason County since 1934. 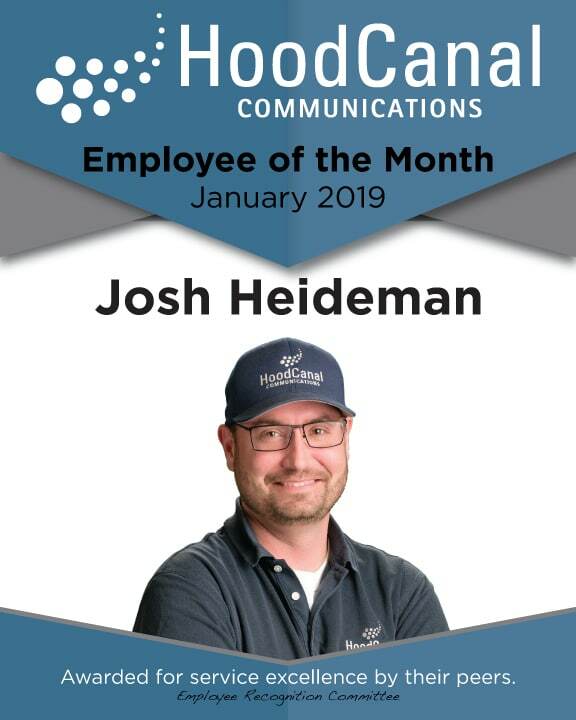 Congratulations to Josh Heideman, our January Employee of the Month. Continue reading below to find out why they are being recognized. This morning I mentioned I left my glasses in my car and I needed to run out to the parking lot and get them. Josh said “I’ll get them!” and he took my keys and went out to my car. Above and beyond. I am really appreciative of Josh. He always, ALWAYS notes serial numbers in equipment and it’s such a huge help when closing orders. It saves so much time. Josh is so helpful on Saturdays! Saturdays can get a bit crazy sometimes and Josh is always so positive when I have to call stuff out to him. He never puts up a fuss and is more than willing to help me troubleshoot with customers. Thank you Josh for making those crazy busy Saturdays better! Hood Canal Communications is seeking a highly motivated, technologically diverse Help Desk Specialist! Must be a fast-learning, multi-tasked individual with excellent communication skills for troubleshooting, resolving, and documenting end user issues with various Internet Access Technologies, including Fiber to the Premise, Cable Modem, DSL, and Wireless. Must have skills in PC ProblemSolving, Troubleshooting, and Repair, as well be knowledgeable in-home router setup and small networks. Job duties also include ISP equipment recycling, provisioning, and inventory maintenance. To apply, send resume to ISPManager, PO Box 249, Union, WA 98592 or email employment@hcc.net. Hood Canal Communications is a drug free, equal opportunity employer. 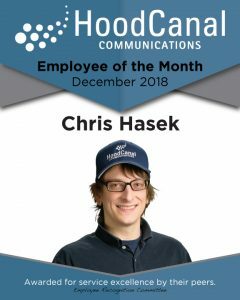 Congratulations to Chris Hasek, our December Employee of the Month. Continue reading below to find out why they are being recognized. It is so appreciated when we ask Chris a question—even if he’s busy working on something else—he always helps out. There are too many examples to list, but the last one was when Chris stopped in our office to drop of a receipt, an employee mentioned to Chris that their new printer was getting low on toner and they didn’t see that particular toner color in their back up stash. Chris confirmed that there wasn’t any toner, and then went down to the other printer to see if that one had any either. Chris could have ignored the problem, but he went out of his way to fix an issue that was brought up to him. He is so kind and smart, and when we have to ask him to speak in non tech language to understand what he’s telling us, he never makes us feel dumb for asking. Hood Canal Communications is seeking a full-time Fiber Optic Cable Splicer. Fiber Optic Cable Splicer. Position plays vital role in ensuring quality and timely deliveries of our fiber services along with additional services to customers. Skilled in fiber optic splicing with an understanding in engineering and splicing drawings. This position will have project management skills, ability to work independently, knowledge of construction practices for outside plant fiber placement, sufficient experience with computers and have a background in fiber optic splicing documentation practices. Great benefits package for employees. Salary is DOE. Send resume to Hood Canal Communications, PO Box 249, Union, WA 98592 or via email. Please no walk-ins or phone calls. 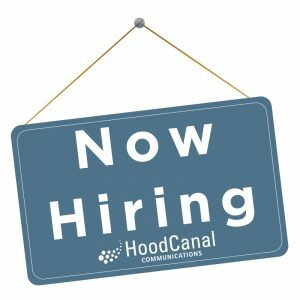 Hood Canal Communications is seeking a full-time Telecommunications Installer & Repair Technician. Position requires installation and repair of all necessary cable/telephone/fiber-to-the-home/network wiring, in and out of the customer premise and also the hardware from the distribution system to the customer’s equipment for the reception of cable, broadband, and telephone services. Additionally, maintaining and repairing outside plant facilities. Great benefits package for employees. Salary DOE.